As touched on in “the importance of the moment, there are so few of them”, change is happening all the time. Sometimes it comes rapidly and other times it comes very gradually over an extended period of time. There are times when change stands out to us instantly, like a beacon in the night. Other times, it acts so subtly that we don’t notice it until its cumulative effects shake us out of complacency. Or perhaps, we may fail to ever recognize it at all. Regardless of the circumstances though, change will come, and in many respects, it is the only real constant. On the whole, our perspective of change is rather interesting. For instance, as seen in this talk, there’s a fairly big difference between the amount of change we think will happen at different points in our life in comparison to how much actually does change. In essence, we tend to consistently underestimate the amount of change that will take place in our future. As you’ll see, while the depth of change in our lives may slow over time, change is always taking place and is greater than we tend to realize. Another aspect of change, which is quite common unfortunately, is wishing for things that have already happened to change. This is often seen most prominently when someone is nearing the end of their life and is on their deathbed. During this time, people tend to reflect on how they lived their lives, and on what they would do differently given the opportunity to go back. Seeing the common themes within these reflections helps us make changes in our own lives, while we still have the chance. The truth is, we never know how long we have, so making the most of the time available is essential. Understanding the regrets of the dying provides great insight into how we might want to approach our own life to make the most of our time. Along with the pieces above, it’s good to be aware of another crucial aspect of change. No matter where you are in life, and no matter what age you are, you can make positive change. You have control, power, and ability; you just need to take the reins and move with intention and conviction. For instance, many people believe that their brains and intelligence are fixed either at birth or shortly thereafter. While this is something that gets reinforced in society and much of conventional schooling, it’s not accurate. The reality is that your brain can change. Even at very old age, our brains are malleable, we can change them, grow them, and make ourselves more intelligent, as well as more knowledgable. Understanding this can really open doors to achieving things that once seemed impossible, since one of the biggest factors that holds us back in life is our internal doubt. As a teacher, I saw this first hand many times. People who thought they were incapable of doing something, like mathematics, learned tough concepts when they came at the problems with a new approach and a belief in themselves. Much of what seems like an inability to do something comes from simply not knowing the right approach, and having not learned or been taught in the proper way. When you come with the right strategy and truly believe you can do it, possibilities and powers open up, and even the core wiring of your brain can change. Our ability to change and grow ourselves extends to the body as well. In the same way that there is a difference in the plasticity of the brain between infants and adults, things like our endocrine system, muscle decay and growth rates, tissue elasticity, etc change as we age. However, also like with the brain, we tend to overestimate the downside of those changes and underestimate the upsides, and our ability to control and overcome the negatives. As a result, people often believe physical change isn’t possible for them, especially when they reach older age. More so, there tends to be a belief that the only thing that happens as we age is that we will grow weak — and through acceptance of that, we tend to let and make it happen. Really though, the biggest thing holding most people back from improving and growing comes from the perspective in their mind, not the physical differences resulting from age. Even in old age, by actively working to make the body stronger, it will start to listen. It generally takes longer for big results to be seen the further you are past your mid-teens. Plus aches, pains, and old injuries add to the difficulty of the challenge. Regardless of age though, with the right approach, attitude and persistence, you can still attain the positive changes of better health, less fat, and greater strength even in old age. The following four videos are here to provide some motivation — and visual proof — on this front. Jeff Cavaliere, who is a professional sports physical therapist and strength coach, and the founder of the exceptional ATHLEAN-X™ workout programs, does well in addressing this. This video showcasing older athletes at the Penn Relays, the longest running and largest track and field competition in the U.S.A. shows that fitness can be held at any age. Beyond using these videos to illustrate that change is possible at any age, I’m also sharing physical fitness things here because it really is a very important part of the bigger life picture. When we aren’t physically fit, it is much more challenging to succeed in the other areas of life. You definitely don’t need to have elite athlete fitness levels, however, it’s incredibly beneficial to be healthier than the vast majority of people in first world countries. Change is happening. Sometimes it is subtle and slow, other times it is fast and pronounced. 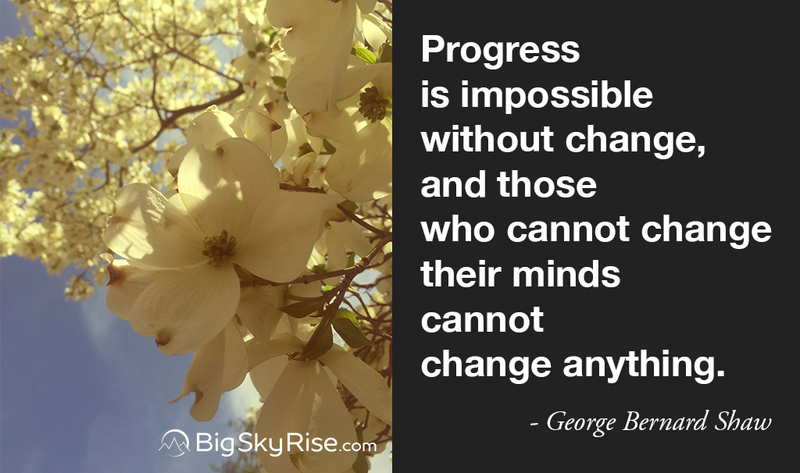 Regardless, it is helpful to understand some aspects of change. The items shared in this post are here to help inform and motivate. Remember, good change can be made at any age, whether it is physical, mental, spiritual, or something else. All we need to do is know and believe it, and approach with intention and conviction. Let’s make lives better together. Please share with someone that could benefit from some good motivation.